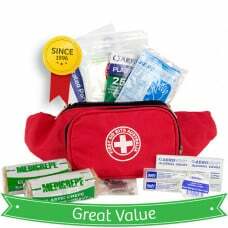 Sports Club, Team, Trainer First Aid Kit Sale! What type of sport are you playing? What level of activity are you involved in? SELECT YOUR PRODUCT BELOW OR CALL us now to answer your questions. Our K157 Sports Bum Bag First Aid Kit is great for the coach, trainer, athlete or sports-p..
Our K307 Sports First Aid Kit is recommended for individuals participating in full contact sports or..
Our K407 First Aid Kit is recommended for the youth / junior team with minimal contact. 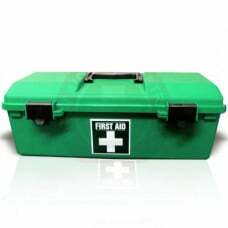 Pu..
Our K457 First Aid Kit is recommended for the full contact sports at the junior level or f..